Lithium Australia NL (ASX:LIT) reports that it has identified lithium pegmatite swarms at the Medcalf Lithium Project. 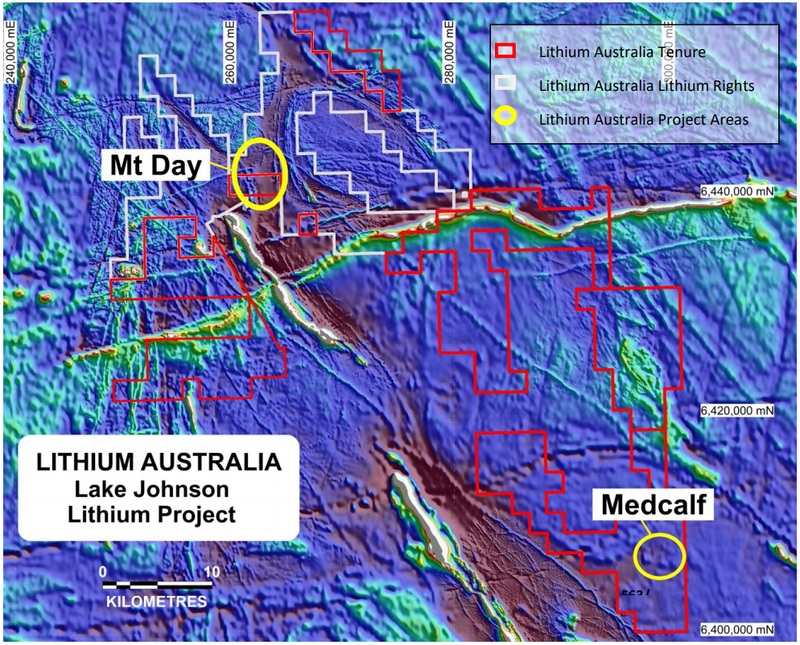 Medcalf is located in the southeast part of the Lake Johnson Project in the highly lithium-prospective Yilgarn Block in WA — some 45 kilometres south-east of LIT’s existing Mt Day Lithium Prospect area. 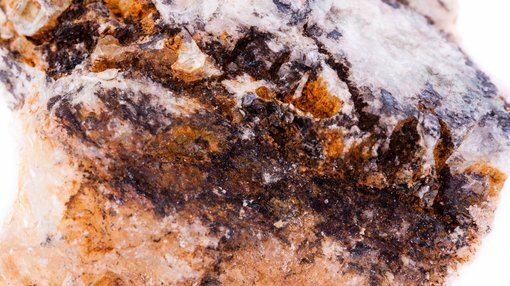 The lithium pegmatites of the Yilgarn Block are attracting investment from some of the world’s largest lithium companies. It hosts major lithium deposits at Earl Grey (Kidman Resources and SQM) Mt Marion (NeoMetals, Gangfeng and Mineral Resources) and Mt Cattlin (Galaxy). All of these deposits, including Medcalf and Mt Day, have similar geological features. The pegmatites emanate from nearby fertile granites and are injected into adjacent greenstones. An initial geological reconnaissance programme was conducted after interpretation of aerial photographs last year highlighted the potential for multiple pegmatites. Outcropping pegmatites were identified at Medcalf during subsequent field inspections in April 2018. Recent geological mapping, and sampling confirmed some of these pegmatites as LCT (lithium, caesium, tantalum) types. Pegmatite swarms containing spodumene mineralisation outcrop in a zone of some 100 metres by 50 metres in area, within a larger area of pegmatites of 250m wide by 500 metres long. Initial rock-chip samples are prospective with grades ranging from 3.07% lithium oxide (Li2O) up to 4.78% Li2O and one spodumene only specimen sample grading 7.15% Li2O. Field inspection identified a pegmatite swarm centred upon the highest hill in the area, where at least five pegmatites were located — all contain spodumene. The prospect area has moderate to low topographic relief and there’s potential for additional pegmatites under cover. The main target area contains pegmatites presenting as a dyke swarm comprised of numerous pegmatites in a zone about 250m wide and at least 500m long. The outcrops of individual pegmatites range from about 2m to 10m in width and 50m to 150m in length. The pegmatites appear to dip at moderate to steep angles towards the southwest, and appear to have true-thicknesses of about five metres and are relatively close together with only a few metres separating individual pegmatites. 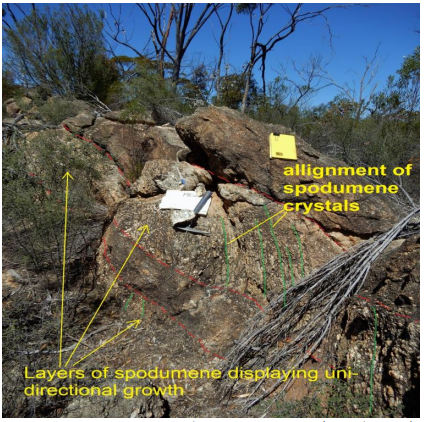 The image below provides an example of outcropping pegmatite at the Medcalf Lithium prospect area. Alignment and layering of spodumene crystals indicating directional growth during formation of the pegmatites are evident in this outcrop. The image also shows the location of one of the reconnaissance rock chip samples ‒ ME6 ‒ which returned an assay of 3.13% Li2O.